November | 2012 | If not now, then when? FirefoxOS is a new mobile platform, one with the aim to connect the next billion users and give them a great mobile experience. But you don’t have to wait until a product is launched to try it out or start to develop for it, you can do that right now! R2D2B2G (catchy name right?) is a Firefox add on that makes getting FirefoxOS up and running on your Mac, Linux or Windows machine really easy! 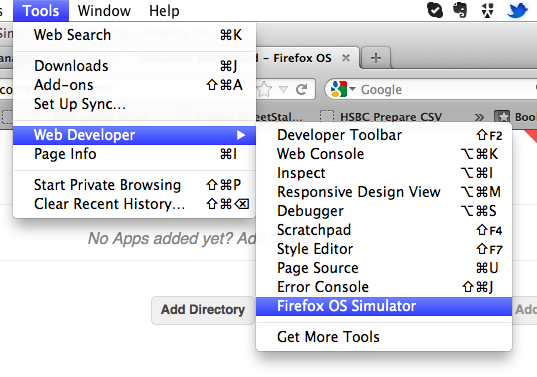 All you have to do is download the latest version of the simulator from here then install it via the Add Ons menu in Firefox! 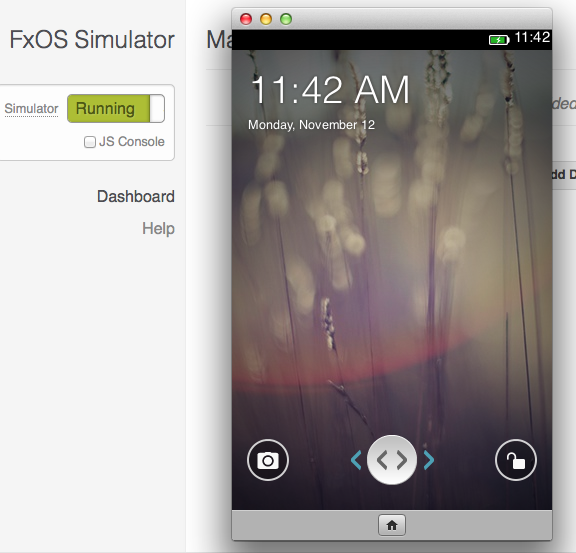 Click the Simulator button and congratulations you have a working FirefoxOS simulator! If you want to find out more, I’m running a meetup at the end of the month where we’ll have FirefoxOS experts on hand to help out and show you how to create apps for FirefoxOS!